The first thing you have to consider is what and how much you plan on printing. Do you want to print color charts, glossy photos or want to print only some documents? The inkjet printer uses inkjet technology that releases ink through thousands of tiny nozzles in order to print images on paper. 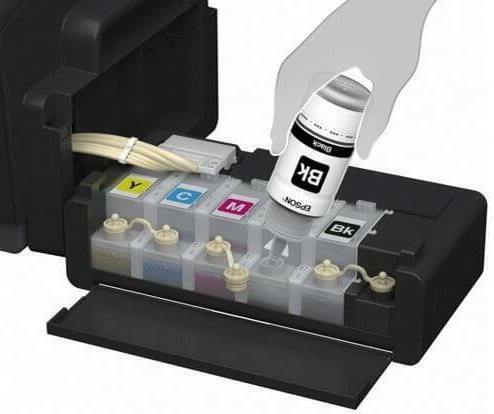 Normally an inkjet printer contains three or more color ink tanks and one black ink tank. These colors combine to produce other colors to print on the paper. Some new printers have individual tanks for each color and some have easily refillable ink tanks. Laser printers use ink toner ( in powder form); an electronic charge that attracts the toner particles to paper to print documents or images on the paper. A fuser is there to melt the toner to the paper. Monochrome (single color) laser printer are good choices for home and small office use. You will get a monochrome laser printer at an affordable price than a color laser printer. Monochrome printers offer good print speed at a lower cost per page than an inkjet printer. Color laser printers can produce color images but have a higher cost per page than a color inkjet. Price of a color printer is more than that of a monochrome laser printer. If you need a printer, need photos and documents scanner and a photocopier to replicate documents, don’t go to purchase these items separately. A multi-function printer is a viable option, Multi-Function Printer (MFP) is an all-in-one or Multi-Function Device which incorporates the functionality of multiple devices in one. You can print, copy and scan with one compact machine. HP LaserJet Pro M1136 Multifunction Printer, Canon ImageClass MF232W All in One Laser Printer with WiFi. 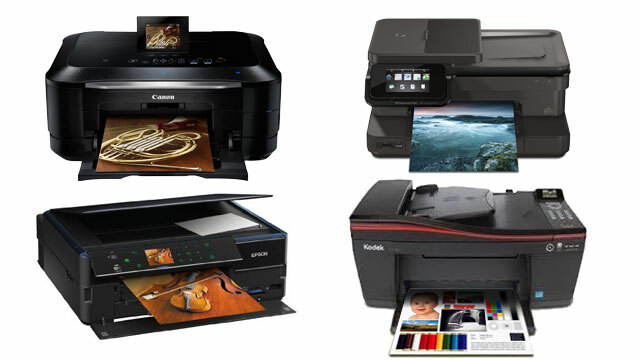 Inkjet Multi-function printers are available. Epson L360 Multi-function Inkjet Printer. These printers are designed for high-quality photo printing. So it may have six individual color ink cartridges or more. As I said in the beginning, the important thing you have to consider before buying a printer is, what you want to use it for and how many prints you need per day/month. If you need color print then go for an inkjet printer, high cost, top end color laser printers are also good, but a bit pricey. But inkjet gets more photo clarity on glossy paper. Just want to print some documents in black, go for a monochrome laser printer, less printing cost and get approximately 1500 to 2000 pages per one cartridge or refill.